Michael G. "Mike" Ryan, MBA, FACHE, is chairman and founder of Ryan Group, a diversified healthcare management company having served clients nationally in 32 states. He has more than twenty years of business development, healthcare management and consulting experience. He has served as a hospital and health system Chief Executive Officer in Louisiana and Florida. In addition, Mike has served as Executive Vice President and Chief Operating Officer of an international healthcare consulting company with offices in Washington, D.C., Singapore and Rome. 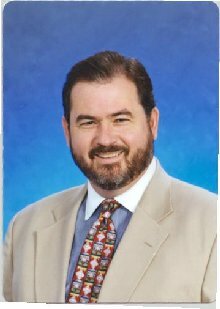 He is an advisor, investor or founder of several healthcare Internet companies including Hemisphere Health Care, Medical Alliances, Medical Registry USA.com, MyPsych.com, and HealthOnline.com. Mike is a recognized speaker, editor and is the creator and host of a national weekly chat forum for healthcare executives for America Online. During his career he has served in senior management positions for the $6 billion Daughters of Charity National Health System (Acension Health), the largest not-for-profit healthcare system in the U.S., $1.5 billion FMOL Health System and $3 billion HealthTrust, a NYSE healthcare management company. Mike has been involved in the start-up of more then 30 successful companies including a $25 million healthcare management company, a leading healthcare dot.com and $300 million healthcare holding company in Florida. Mike serves as president of the American Hospital Association's Southwest Society of Healthcare Strategy and Market Development and was president of the AHA's Capital Area Society for Healthcare Planning. Mike is board certified in healthcare management and a Fellow of the American College of Healthcare Executives (ACHE) and serves on its national Chief Executive Officers committee. Additionally, he serves on the ache.org Editorial Board and as ACHE Regent for Louisiana. He received his MBA from, The George Washington University, Washington, D.C. He has bachelors degrees from Regis University in Denver, Colorado and completed graduate studies at Georgetown University and served as a White House Intern in Washington, D.C.
Answer 1 - Primary to any effective marketing strategy is to: (1) understand your business objectives -ie., what business are you trying to build, expand and grow; (2)Know who your customers are deeply-through market research or focus groups or perhaps actually "talking" with them directly--"hey what a concept! "; (3) What is the most effective means to communicate with your customers; (4)Implementing a measurable marketing strategy with key brenchmarks; and (5)What is the ROI (return on investment)& Evaluating and monitoring your results and IMPACT on your business objectives. Did your strategy actually work? If "no" why not? What could you have done to improve your effectiveness. Do you have a mechanism for asking customers? Answer 2 - Well, that is a wonderful question! Permit some history in my response. As a second generation healthcare executive I can remember even mentioning the word "MARKETING" was taboo in the healthcare industry prior to 1979. I know that seems like a long time ago, however, when you think that most of your senior level executives came into the industry with little or no "marketing" education or skills. (Or appreciate for its value). Why was that? Well, before the implementation of DRGs in the early 1980s there was little need or use for "classical marketing" in the healthcare industry. And physicians and others saw it strictly as "advertising" and something ONLY "snake oil" salesman did. So I think the most common mistakes healthcare organizations make in marketing is often not being taken seriously by other more established professions. If there is ever a "reduction in size" or "right-sizing" in the organization...it is more then likely "MARKETING" is the first to be cut or eliminated. Answer 3 - Well, there are numerous healthcare publications which demonstrate best practices. Having travelled in 94 cities in 26 in states during the past 11 months visiting hospitals, health systems, physicians groups and healthcare companies I have seen alot of "good stuff" out there. A few come to mind, the first is the Lousiana Health System in Lafayette. Although this organization serves a community of 300,000, it has a "big time" approach to marketing. They have team up with the local social service providers in creating and managing a "211" service which is a tremedous community resource. If you call "211" (similar to 411 for telephone information) you are given contact information on a wide variety of services. The health system's strategy to be seen as a "community resource" and NOT just a "accident center" or "sick center" and it seems to be working well indeed. Another example is located in Silicon Valley. We work with start-up and emerging healthcare dot.coms across the country. While visiting the Women's Technology Cluster in -San Francisco recently we came across several start-up dot.coms including Mypsych.com which serves the behavior health sector. The company's marketing approach is to "tap" into the growing internet boom, while reaching out to the clinical providers and customers. They increase the eCare support patients need, they increase the effectiveness of client "home work" with web based technology and they support cost effective management of cases for the provider. 1. BUY-IN: Gaining management's "buy-in" on what specifics objectives need to be achieved upfront (i.e., growth in market share, increase sales, etc.). Therefore, there are less "surprises" when a service or product doesn't deliver or meet expectations or financial proformas. And we all know our "bosses" never like surprises, especially ones that are not always positive. 2. PULSE ON CUSTOMER: Market professionals who "do their homework" and have insights, market data and various resources which provide THEM the "pulse of customer", more than anyone else on the management team. A company which is "market driven" has an intimate understanding of its customers. THEY KNOW THEIR NEEDS not just their wants. As a result, the organization can modify and invest confidently in new products or services changes KNOWING it is what the custmer has requested and actually needs based on market research versus "Hey this might work...let's get it a whirl!" strategy? 3. SYSTEMATIC APPROACH: Marketing approach should not be viewed as the "Larry Tate" syndrome (Bewitched television reference)by our organizational peers as just an "add on". Meaning, Mr. Tate was often quoted as saying..."hhmmmm let me see Darren, no! no! No!..that will not work...(then when the customer finally says "I love it!")..Mr. Tate would respond "You know Darren, I love that too! Great doing!!! ", and then proceed to develop some "instant" gimmick or smoke and mirror scheme to please a customer's wants. NOTE: Marketing is and should not be a "casual event". 4. LEAD BY EXAMPLE: Marketing professional being part of the overall strategy have an opportunity to "educate" their peers and supervisors on marketing techniques and tools. 6. SOLUTON VS. PROBLEM ANALYSIS: Marketing becomes "part of the SOLUTION" versus "part of the clutter" and therefore its value and importance to the organization becomes apparent to all. It is not about crunching numbers, but building alternatives and effective solutions. Answer 5 - How does one justify spending money on marketing especially in efforts to control cost..I guess the statement shocks me (lol!). As my previous responses have stated I do not believe that "Marketing" is a LUXARY!!! It is "CORE" to all companies, not-for-profit or for-profit alike. I see it as a vital item in any business, company or organization. Of course you can have elements such as advertising, promotion and media that not ALL organizations can develop, implement or even afford, however, "marketing" I would submit is a part of every organization. Now, the issue becomes in these days of "cost containment", especially in healthcare organizations, "where can we cut our shrinking budget...HHHummmmmmm...". Often marketing departments are BIG targets (and in some cases justified for reduction). Just because you work or manage a BIG marketing organization DOES NOT entitle you or your staff "immunity" from being cost effective, delivering positive results, creating IMPACT or an ROI. REMEMBER: "ACTIVITY DOES NOT EQUAL PRODUCTIVITY"
The development of ROI (Return On Investment)in healthcare is a relatively "new" concept, folks like our friend Stan Merriman, MarketCare Services, in Houston and others have been advocating it for several years. Simply put, "ROI- Marketing, (although doesn't it sounds like an oxymoron...like Jumbo-Shrimp or Legal-Brief)... means demonstrating a "cost benefit analysis" on your marketing efforts. It includes adding up your direct and indirect cost, overhead and other resources and THEN adding up the results or returns on investing dollars into a prject. Example: "Did we increase net revenues to the new cardiac program by 14% which represents $1.5 million verus a $250,000 multi-media campaign". YOU DO THE MATH!!! This would be one good example you could "Justify" spending money on a marketing. However, the objectives need to be clear, well defined and measurable by the marketing professional and "sold" to the organization's executive leadership. Actually, "Permission Marketing" is the exact opposite of "Junk e-Mail Marketing" because you, in fact, "ask" the customer (Mother, may I?) "permission" if they have an interest in learning more about your company's products and services. This is contrary to tradition advertising or MASS marketing where you attempt to reach "your" customer by MASS media (radio, television, billboard) and hope and pray (....no, market research will back you there....right?) that your message grabs the attention of your target market. "Permission Marketing" is defined as it sounds. By "asking permission" you develop a "relationship" with the customer which over time becomes wide and deep. Hospital's ask patients to fill out "admission" forms which includes: name, address, telephone number, next of kin (hhummm...that one always made me nervous as a patient). Our hospitals collect alot a data these days. One simple question we have ask hundreds of hospital and health systems across the country. "Do you collect patient's e-mail addresses during the admission process?" They usually ask: "Why would we do that Mike?"... "No, we have never done that before!"... Then when they realize they are missing an unique "Permission Marketing" opportunity..THEN they say, "that's a great idea!" Given that most large metro cities now have higher then 50% internet usage, and almost everyone has e-mail, it make sense. Another example of "Permission Marketing" being utilized is with health systems in "touching" millions of customers. One of our companies HealthOnline.com, partners with the country's leading health systems in developing regional private label "Health Channels". They include Allina (www.medformation.com), Catholic Healthcare Partners (www.eHealthconnection.com), Sentara Health and Unity Health (www.good healthmatters.com). These interactive "Health Channels" promote the lastest in "Permission Marketing" and building personal relationships with customers using a wide variety of web technology tools. The healthcare industry by its very history and nature, has a remarkable opportunity to create and develop mutually beneficial systems for its customers and itself in improving personal health, treatment and prevention while containing the cost of health services. "Permission Marketing" by its personal connection and relationship building seems like a natural fit and an effective tool for healthcare marketing professionals. "Try it! You'll Like it! LOOK! See! Mikey Likes it! Doesn't Everyone?" 1. From your web site: You may ask their "permission" to send them the lastest information about breast cancer screening techniques. 2 They agree and received disease specific reading material and information. And use it! 3. Later, they may request a doctor that specializes in women's health issues. 4 You forward them several affiliated doctor's names, summary of credentials and potential appointment times. 5.They are sent test results (via secure server)or potential prevention or treatment options to dicuss with their provider. Answer 7 Hummm.... I am sure I do Marge. Let me look into my "majic" files and forward a few options. In the mean time I am interested in what are you currently using and for how long? Is this for a new business or annual marketing plan? New product or service? Answer 8 - It's the classic question of how is the healthcare industry moving from a "sick-care" model (i.e.,treating accidents, end stage diseases and acute care episodes) to a "healthly-care" model (prevention, disease management and health promotion) which in the long term improves the communities overall health status. We nknow, on an international level, the United States recently ranked "relatively poorly" in overall health status indicators given its vast economic resources. So there is no surprise that "local" communities are in general failing to improve health status in relative terms to other countries in birth defects, pre-mature motality and morbidity. Yet, many nation's flock to our country for highly specialized services that are considered the "Best in the World"...So "yes", with few exceptions, individual community DO NOT even monitor of track "improvement of health outcomes". Why not? I believe it is simple economics! Healthcare providers have absolutely no DIRECT economic incentive to improve the overall health of the communities they serve. (Sounds like a bold statement? nope! )Money talks! BIG MONEY SCREAMS! Providers are paid or reimbursed for treating "individual" patients cases. They are ususally 'acute" in natural and require tremedous resources. Until the payment method changes, I would not expect community health status to be a priority. Yes, there have been isolated "attempts" for communities to "huddle together" and try to improve the overall health status, however, having been personnally involved in one of these "Healthly Communities" projects it takes Herculean effort by too overcome the many conflicting groups, values and ultimate goals. Answer 9 - Hey, been there done that! Having served as a Chief Executive Officer of a hospital for five years and administrator for twenty, I know the meaning of JCAHO data collection and analysis of patient surveys. Assuming that the patient satisfaction survey tool used is appropriate it can be a wonderful indicator. However, I have worked and consulted with some organizations where the "official" monthly patient satisfaction survey is routinely scoring the organization in the 95% or higher in ALL clinical, support and customer service areas. In general, patient surveys are a useful in obtaining feedback about the oganization's performance. I would make sure they were forwarded from the patient to the "CEO's office Only" and then distribute follow-up issues with appropriate departments. You can never get enough feedback from your customers. (2) Survey patients over the telephone a few days post discharge; "Hello Mr.Smith, how was your care and treatment at our hospital?....How could it improve?" (5) Incorporate the focus group results into or strategic and marketing plans. (6) Analyze and compare one year to the next on specific issues and determined if we actually improved? Of course we would plot our progress on charts and graphs and post them for our staff to observe. FOOTNOTE: When I was managing a hospital we received "Accreditation with Commendation" which put us at the top 5% of hospital rankings nationally. However, despite that great designation, the most I remember was NOT our "score" of "98" but a human response...our surveyor told me to my face, "Mr. Ryan in all my 17 years of conducting JCAHO surveys, your presentation of Performance Improvement (patient surveys)and outcomes was the best I have EVER seen!! !....hey that made my day, week and perhaps month! physicians who have been in practice for 25 years they STILL associated the term "marketing" with "snake oil" or "used car salesmen". So beware, not all practices are open to the profession. I believe the biggest challenge is to educate the physicians in the group the value of an effective marketing plan can play in their economic future. The internet is a remarkable communication and relationship building tool. During the past few years, healthcare organizations have embraced the "1.0 version" of internet use by creating "brochure-ware" presence. What I mean is they have taken their printed material or "brochures" and transformed those "words, photos and graphics" onto a web site. Bravo! It is a very important step. But, as I often say, and did to a leading health system in New York today, "Folks, we are at the early stages of flight. We have the plane ready at Kitty Hawk and are "just" trying to get the darn thing off the ground for at least 20 seconds. However, we are headed towards a Space Shuttle with all its technology and implications. AND this transformation will take place NOT over some 80 years, But 24-36 months!! So lets get going Orville!!!" This pace and "Speed of Change" is moving so fast that the "typical" healthcare organization finds it hard to manage their response in developing an "Interactive Internet Strategy & Plan". However, with the Y2K "scare" behind us (thank goodness! ), they are focusing their resources in recent months to doing just that at an accelarated pace. It IS about TIME. Precious time. (2) COLLECT: Through "permission marketing" and "personalization" tools, healthcare organizations can obtain important and useful data about their current and future customers. Which can be used in developing new programs and services. (3) CONNECT: Marketing professionals can use the internet to connect with specific target segments by using e-mails, annual community reports, eNewsletters, online class registrations, surveys and other cost effective online applications. (4) eCOMMERCE: Some health systems are developing online eCommerce web site which enables them to promote and sell a variety of products and services. These include medical equipment and supplies,pharmacy items, and other merchandise. (5) eCARE: Not only is online eCare and eCare support services coming to your neighborhood, it is ALREADY there! And in many cases the technology is ahead of the healthcare organization's ability to implement it quick enough. Also, it is being advocated and "pushed" by physicians and other providers. Answer 12 Mentoring can be a critical "success factor" in advancing an individual'scareer, especially in the healthcare industry. Our industry is a very, very small world which means you are usually only a few degrees of separation from someone that has either worked for or was mentored by another person in your organization. The mentoring process has been part of the healthcare industry since its beginning. If you were to ask healthcare leaders what single element has had a greatest impact on your professional career advancement, the majority would respond the relationship with "my mentor". Mentors can provide "proteges" incredible insights into professional issues, be career guides and be useful "sounding boards" to us. My mentors have included the late Healthcare Hall of Famer, Sister Irene Kraus, DC, F.A.C.H.E., the first president of the Daughters of Charity National Health System (the largest not-for-profit health system in the United States) and she was the first in many endeavors including the first women to serve as Chairman of the American Hospital Association. Sister Irene was a true a healthcare visionary, leader, businessperson and MENTOR!. She coined the often quoted "If we have no MARGIN, we have NO MISSION" and she was always available to talk about issues which were important in my career, profession and life. (4) Then simply "ask them" to be your mentor; You might be surprise they more then likely will accept the challenge! (5) If this is a person who is not in your organization and you do not have easy access to them on a daily basis, then establish a regular time to meet with your mentor in person, telephone or via e-mail. Remember you need to respect each others time and set guidelines up front. (6) Take the lead in asking your mentor questions about your career, how you should look at a problem you are dealing with or should you make that job change? As a healthcare marketing profession, the best way to "find" a mentor is to attend local professional associations and begin identifying and networking with potential mentors. Answer 13 - As you can imagine there are "millions and millions" of excellent resources from professional associations, to web sites to corporate resources. I have listed a few I tap into on a regular basis. During my career, I have had the opportunity to serve a preceptor, lecturer or sponsor at several universities including The George Washington University, Tulane, University of Louisiana and Vanderbilt. I recommend to students just beginning to enter a profession (and works well with "old salts" as well), is to go to their library and take their two leading publications (i.e., Modern Healthcare�formerly Modern Hospital) and read them from cover to cover (including the advertisements). I am NOT talking about just the most recent issues either. I AM talking about the "first" issues published as in the 1940s and 1950s and read them closely and look for trends and issues. It provides you with: (1) great perspective on your profession in the "real time" press versus books; (2) you are able to view trends over many decades; and (3) it gives you insight that some of present day "new issues" have their roots (and perhaps solutions) in the past. So grab a cup of coffee, load up a stack of 300 magazines and Go For It! and a little vision for the future. I believe this is an exciting time for healthcare marketing professionals to pursue emerging opportunities especially those on the Internet. The only limited on their possibilities in career options and goals are their imaginations and dreams! I have enjoyed the Hosting process and hopefully it has been useful. As you know, I host a weekly "LIVE" healthcare chat on America Online where we share and discuss "real time" issues facing healthcare executives, managers and marketers. I welcome your HealthBond membership an opportunity to continue to discuss their interest in marketing each Sunday at 10:00 p.m. (EST) in the "Health & Medical" chat forum found in the "Workplace" tab or AOL KEYOWRD: Health & Medical.